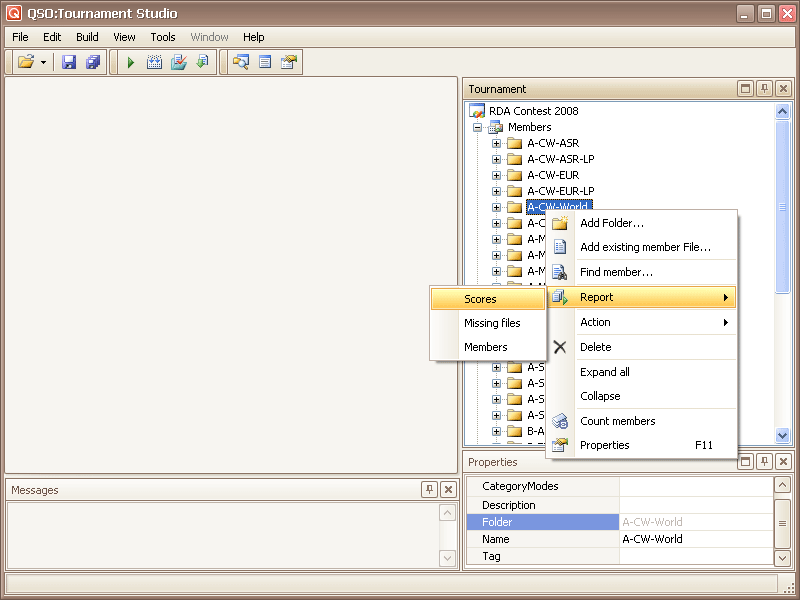 Reports are formed for a folder (group, category) members. 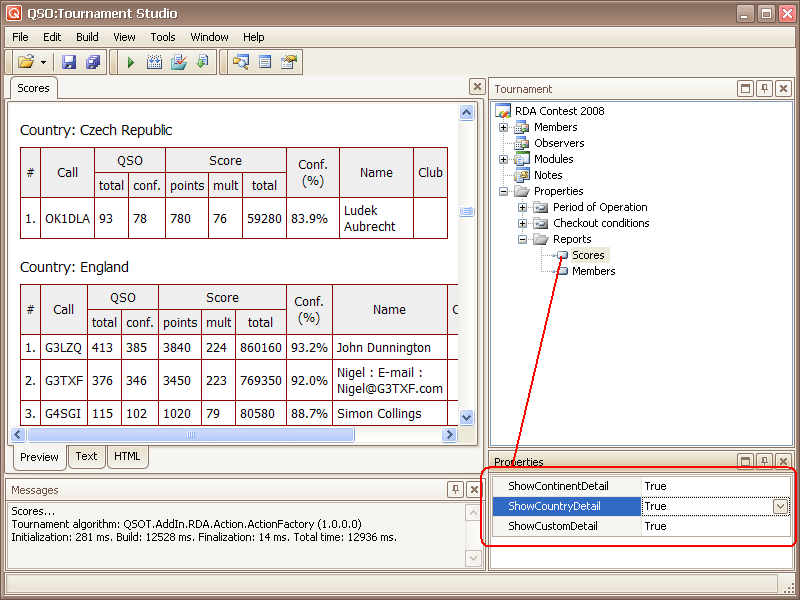 A report call - from the context menu of node "Members" or "Folder" in a tournament tree. Click the right button of the mouse on the necessary folder in a tournament tree. 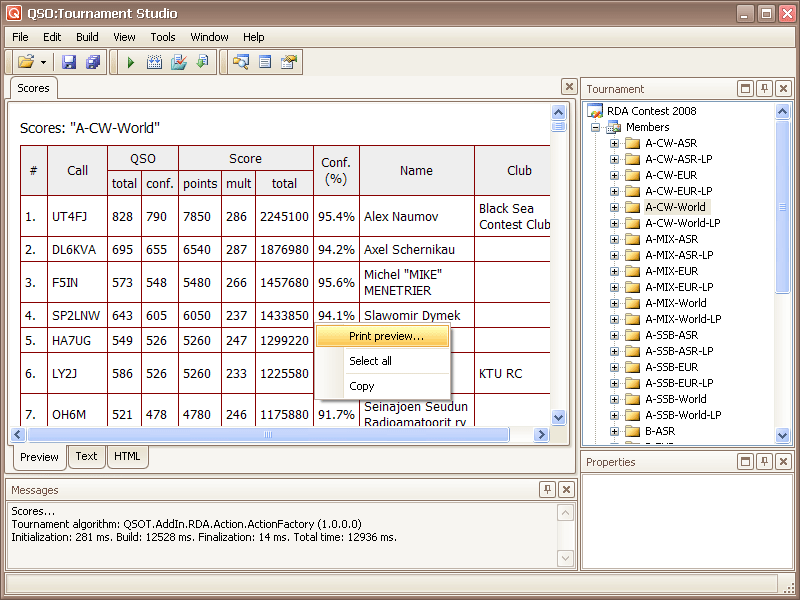 There will be a contextual menu in which it is necessary to choose "Report" and, further, the necessary kind of the report ("Scores", "Missing files", "Members"). 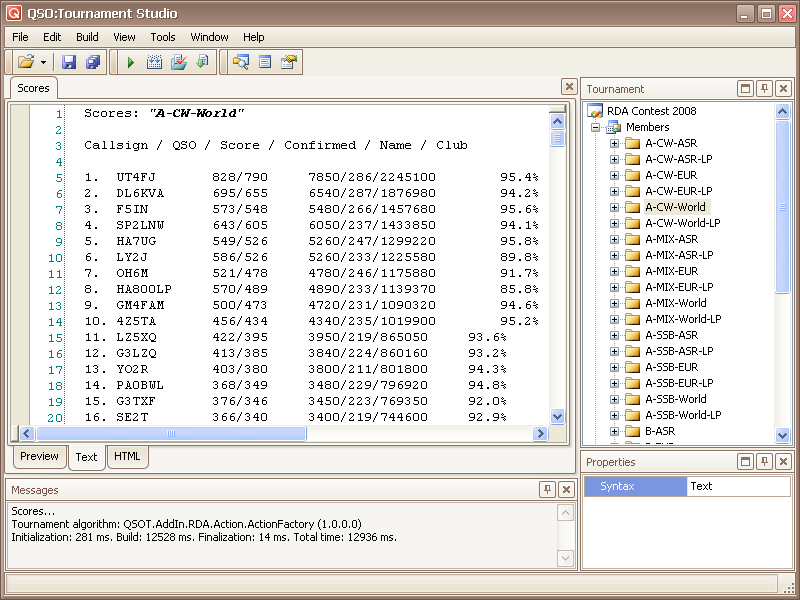 The report joins participants, whose files lie in the chosen folder (and in all subfolders if those are available). For this reason it is recommended to adhere to a rule: the Folder is "Scores table". On tab "Preview" the report is formed in a adapted for viewing and the print. For the report print - click the right button of the mouse on contents tab "Preview" and choose a command "Print..." in the appeared menu. 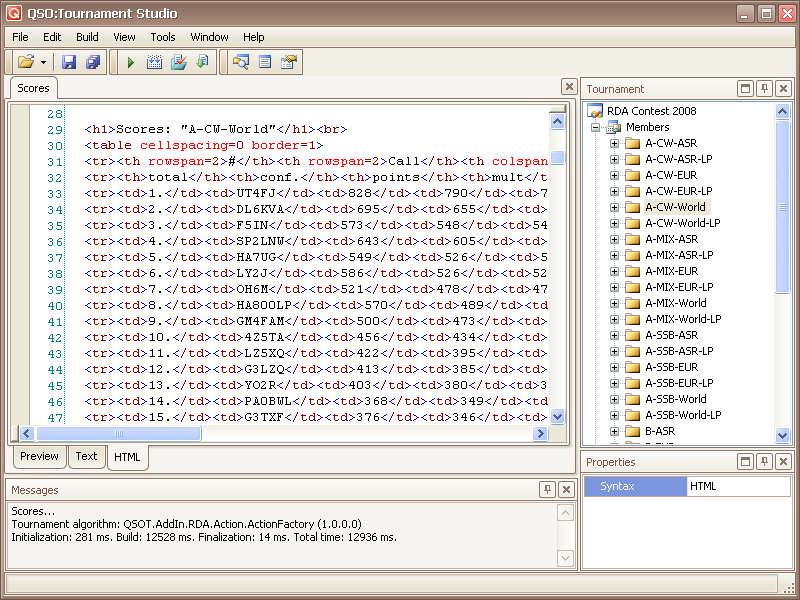 The dialogue of preliminary viewing giving possibility of the report print options will open. 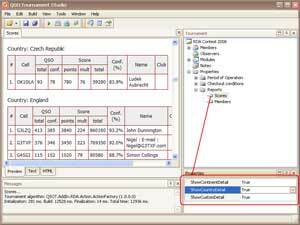 On tab "Text" the report is presented in the form of a plain text. 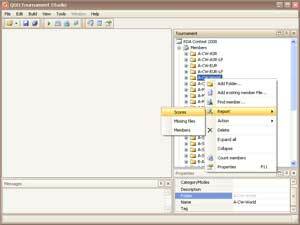 Text can be copied in the clipboard of an exchange or are save to file by a command "Save" of the main menu or the panel of tools. On tab "HTML" the report is presented in the form of a html-code. It can be convenient at the report publication on web sites or in Internet forums and blogs.